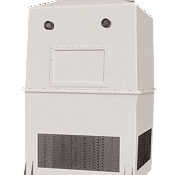 Sterling's Cooling Tower Systems control water costs and mineral precipitation and offer unparalleled corrosion resistance, energy efficiency and performance. 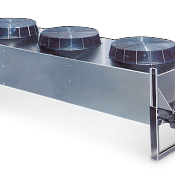 Fiberglass cooling towers provide 85 degree and higher cooling temperature and may reduce water consumption up to 98%. Metal cooling towers provide induced-draft. Sterling has also recently launched a new line of water and energy efficient adiabatic cooling systems.